Brockwell Pups providing the highest quality grooming for your dog. 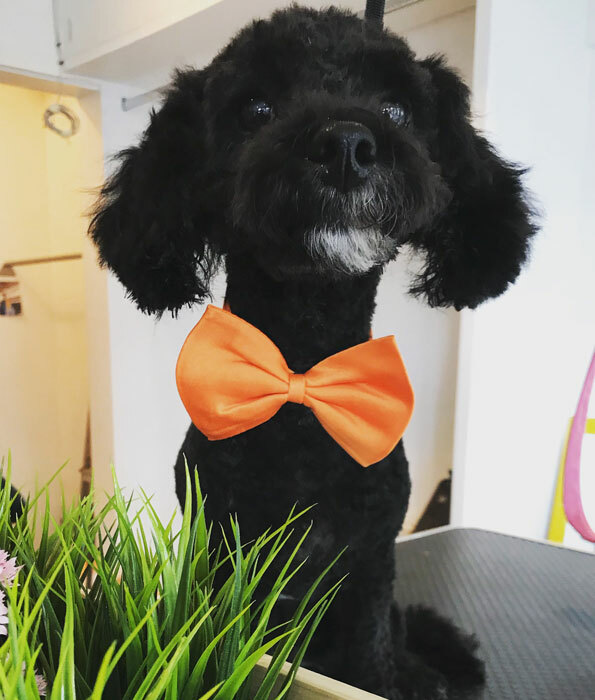 At Brockwell Pups we provide a high end dog grooming, with consideration to your dogs needs and lifestyle. Find out more about our services and price list. We are qualified and fully committed dog groomers with a vast experience in the field. Come in and meet us! Our shop is in Rosendale road, a quiet area near to Brockwell Park. We cater for SW and SE London. There is a lovely cafe and a trendy Brewery right next to us which makes the waiting time a great time for you too! Little Luna went for a wash and trim today, came back smelling and looking beautiful. Aroa is so kind and lovely to her, and did exactly what we asked for. Luna was well cared for - will recommend to every dog owner we know. My Cavalier King Charles -Teddy has just had a full groom and I am so pleased with it, the service was excellent and Teddy as calm and relaxed, would definitely recommend them. Just got our 6 month old Westie pup groomed. Aroa was so lovely and welcoming. Very reassuring, kept us up to date and sent us regular photos. We've had lots of compliments. She's never looked so clean and white! Moon has just returned, an amazing job - she has never been so clean and fluffy as well as smelling fantastic. Thank you so much.